Filming at Sue's house in Houston. After a fun and productive filming trip to Houston and Hutto, TX, I'm nearly finished with the feature film. Over the next couple of months, I will be submitting to film festivals around the world, so the film might make its way to a city near you. Keep an eye on the website as I post updates and begin releasing short side stories to accompany the feature. Early in my research for this project, I came across the cover art for a very unusual song: The Hippopotamus Polka. 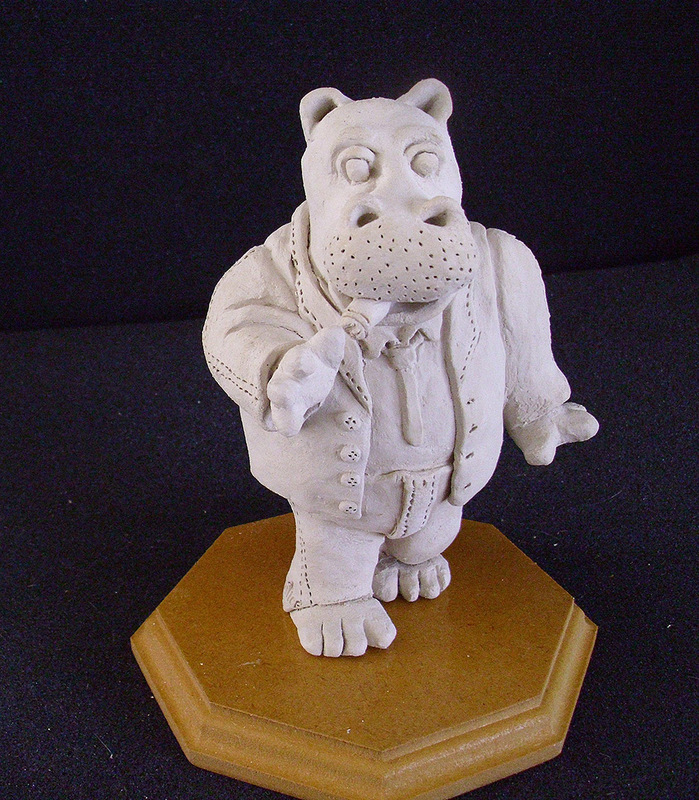 Rumor dictates that the song was composed in the mid-1800's after the musician was inspired by England's first hippo in modern times. The hippo's name was Obaysch, and he caused quite the stir. 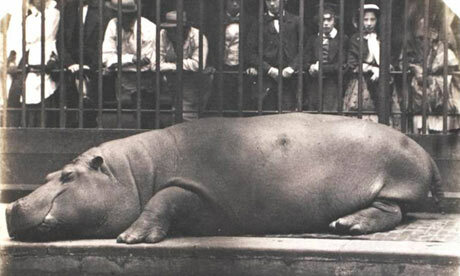 People flocked to the London zoo to see this strangely proportioned animal. 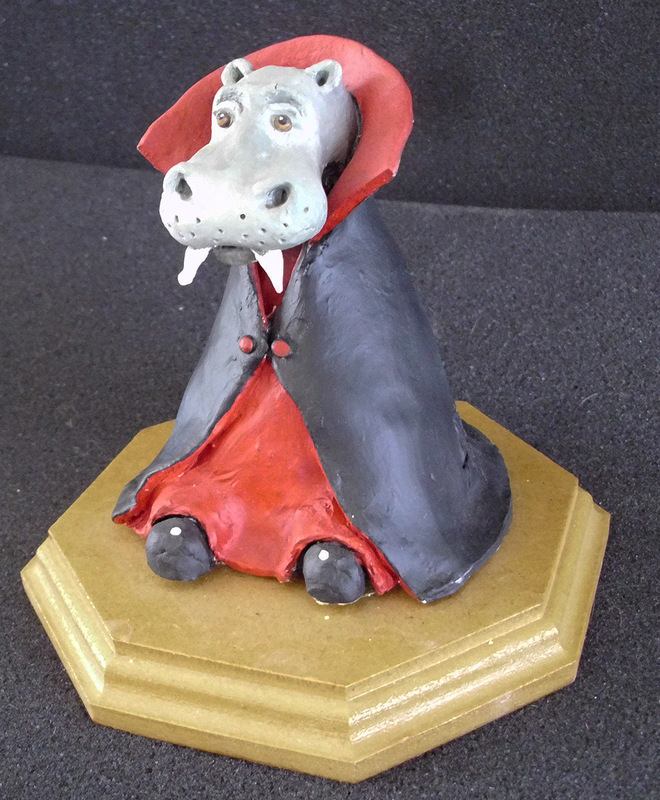 All the excitement is said to have spawned a trade in hippo memorabilia. Obaysch could very well be the reason this project even exists if the modern awe of hippos could be traced back to this single animal. All the more reason to find this song, right? So back to the song. I hunted everywhere online for a copy of the sheet music or a recording of the song but came up empty-handed. Only the cover art, which had made its way onto a number of hippo merchandise, was all I ever came across. Not that the cover art isn't wonderful in its own right, but I just had to hear the song that accompanied this dancing hippo, so stately looking in his tails. As the project progressed, the curiosity continued to eat away at me. Every time I met someone new in the hippo group, I asked about the song. The few who were familiar with it always gave the same response: they've never had any luck tracking down a copy, despite many failed attempts. Fast-forward a year later from when this all began, and I finally have a copy of the sheet music, thanks to some kind hippo folks in Kansas. As soon as I received a copy, I took it over to my Aunt Gayle, the musical guru. After a couple minutes of studying the curious-looking sheet music, she tested out a few chords. At last! As she continued to hammer out the tune, I could already imagine the song playing in my film. It might not be the most notable composition, and there's probably a reason no one's ever heard the song, but for me it was a sweet, sweet sound. 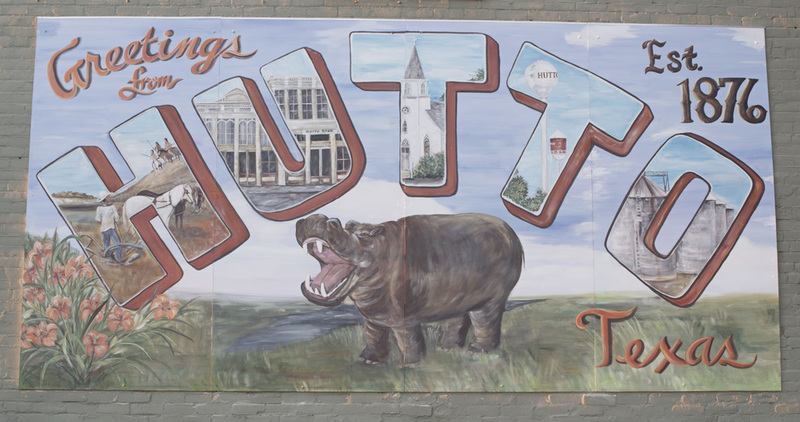 I visited Hutto back in October and had a great time, leaving with some really outstanding shots of hippos and some interesting interviews from community leaders. 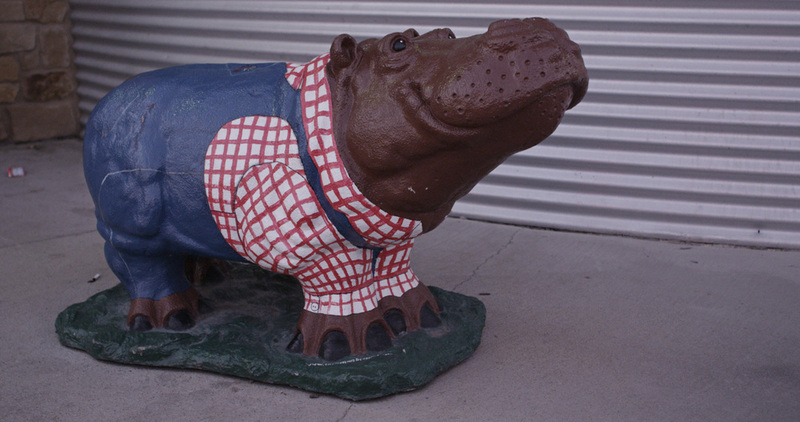 Everyone was enthusiastic about the project and about their hippos, which can be found all around town. I really loved the mural downtown, featuring a hippo front and center. I think my favorite part, though, were all the themed hippos peppered around town in front of houses, businesses, and civic organizations. A dalmatian hippo in front of the fire house, a bikini-clad hippo next to a tanning salon, and many other clever ones to be seen. And, of course, there's the mascot. Who could forget their mascot? I attended and filmed the Hutto High School football game the weekend I was in town, and I think the highlight of the night, for me at least, was the dance-off between mascots: hippo vs. bear. And don't you worry, I caught it on camera. I hope to piece together a bit of footage from Hutto soon for another sneak-peak of the film. 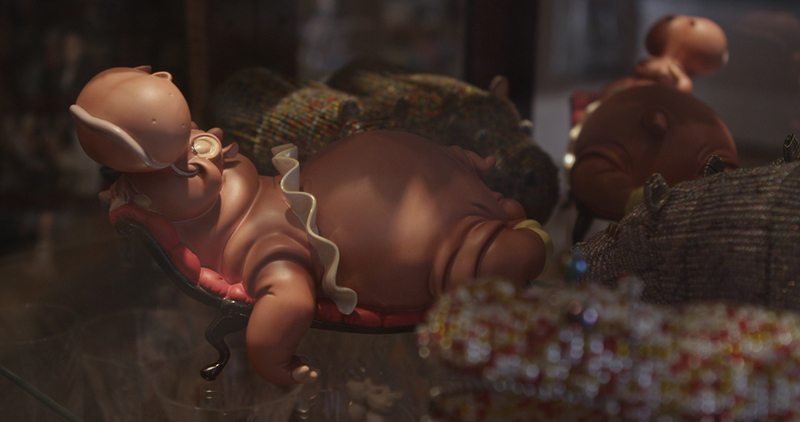 One thing I find astounding is the sheer number of hippo collectables out there. Not just the number of different imaginings of the animal, but the various materials from which they are shaped. With some private collections containing over 10,000 different hippos, it can become a bit mind-boggling. Many people have asked, "Who's making these things?" while some have asked, "Who's buying them?" There are the expected materials, such as porcelain and bronze, but things get funky pretty quickly. Crystal, concrete, canvas, glass, plastic, plushies, paper, brass, eggshells, pewter, clay, and gold. And other things that break the mold. Apparently, today is considered by some to be National Hippo Day. It is rumored to have originated from the virtual realm of Second Life and has spread into the real world from there. So take time today to hug a hippo. Or at least blow one a kiss. Love Hippos? Want to share that love with others? 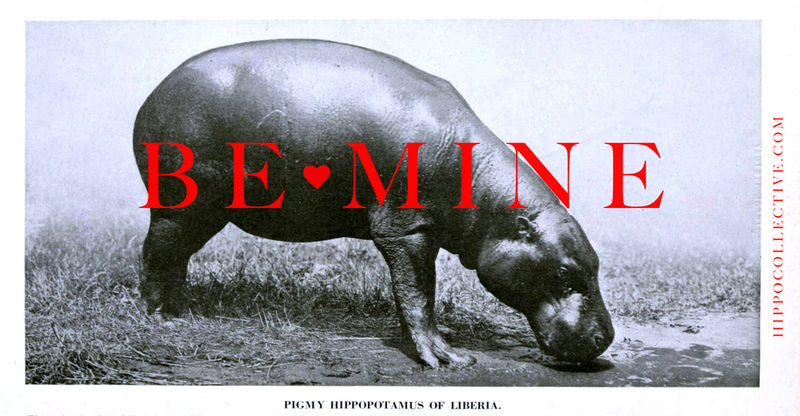 Have a free valentine e-card! Just drag and drop the images below to your desktop (or save the image on your phone) and start sharing. 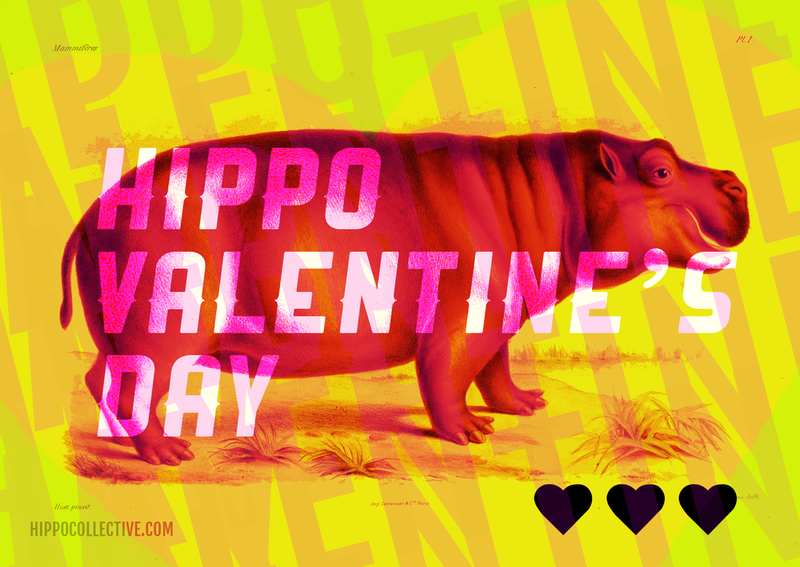 From me to you, Hippo Valentine's Day! Feel free to share the images on any of your social media sites. We've even supplied special Facebook cover photos for you! Since I began this project, hippos have begun finding me in the strangest places. I ran across these at World Market today and, of course, had to buy one. Funny thing is, I don't even drink soda. When I got home, I dug around online a bit to find out more about the company. 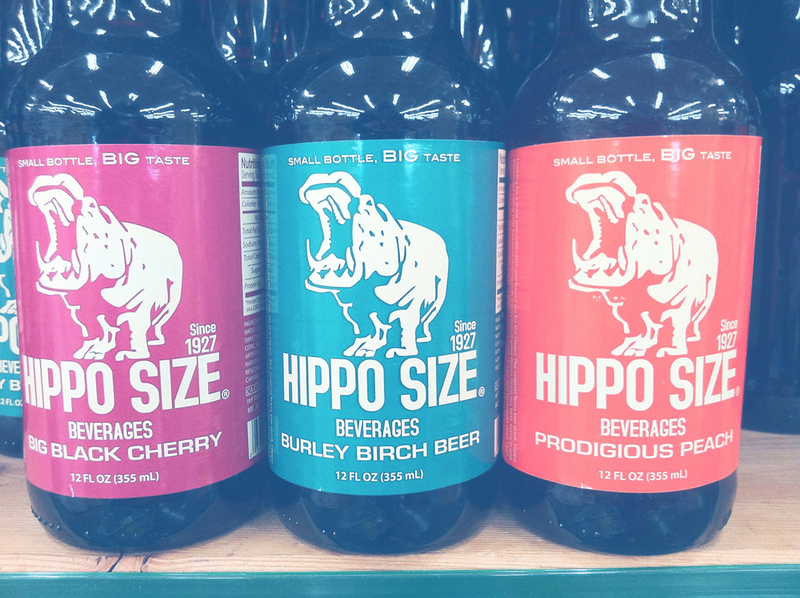 I found that there was an old company that used to sell this brand of soda, and I found some photos of the old bottles, which actually had hippos molded in the glass itself. I searched a bit further and found an old sign advertising the drink. Turns out that old sign is for sale! I called the antique shop in Texas that has it, and the owner was kind enough to send more photos of the sign!